I take it everywhere I go! 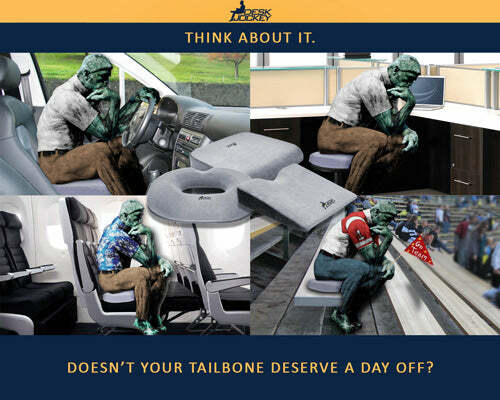 I LOVE the Premium Therapeutic Grade Car Wedge Cushion. It is very soft and is made of memory foam. Its beautifully crafted and very comfortable. I carry it every where I go! 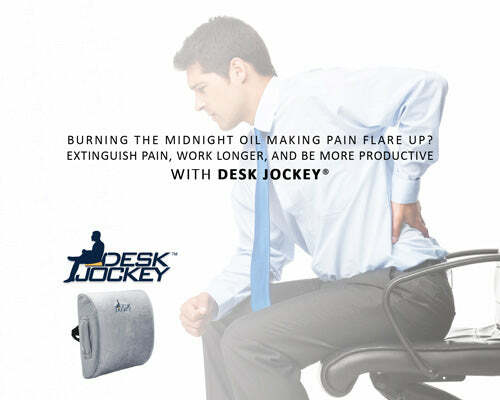 I used it in my car as advised and use it as a back support at work. I feel so much better after using the Car Wedge. This is seriously the best chair cushion on the market. My work chair is somewhat uncomfortable and i find myself slouching by midday. I got a different brand at first, like sitting with a brick behind you. Put this on and wow, i was quite amazed. Plush yet soft, well made, 10 STARS!! This has helped my back immensely since I've been using it. No more hip and lower back pain, I'm recommending to anyone who will listen. If you're reading reviews to debate on which back support to get, you will not be disappointed at all with this selection! Our cushions are Doctor approved! Meet Dr. Corey our board certified health and rehabilitation consultant. Dr. Corey works closely with Desk Jockey's design team to make sure our cushions work with your body and are grounded in sound science.